I’m not sure what level of precision the OP implied; conceivably the intention was for a demonstrational level or, maybe, to prep Rapid Prototyping. Be that as it may, I tried to prep a model to as high a degree of accuracy as I could manage. An initial quandary was the notion of constant thickness. Sweeping a Rectangle keeps a constant Cross Section thickness, but the thickness perpendicular to the face varies through the radius. See illustration in TwistRibbnConstThick_1. 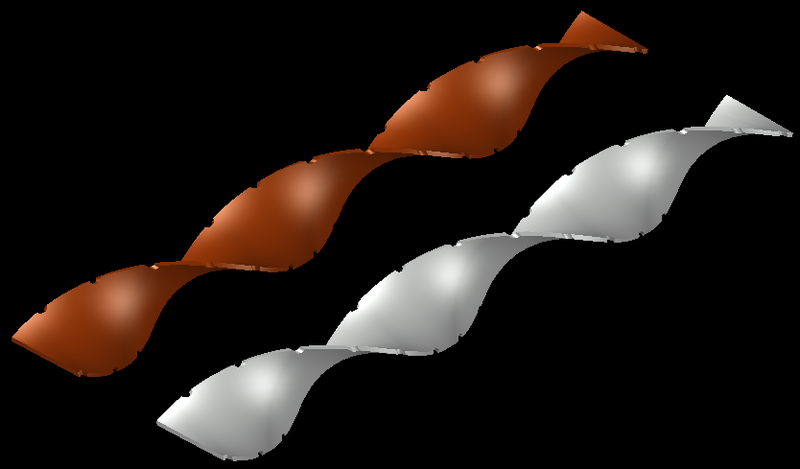 Now, Elastic/Plastic deformation of a twisted ribbon may thin a material to some extent. For my presentation, though, I’m going to stick with a constant thickness. Another area that needed addressing was the final diameter. I could keep that very constant by using some of the early construction geometry to slice an explicitly sized cylinder. And a final area of concern was the notching. Conceivably, the notch should have walls perpendicular to the spiral face. That face changes Ramp angle through it’s radius, then so too should the notch. See model in TwistRibbnConstThick_2. I have to assume I've made the process way more complicated than necessary. The process is interesting, though. High tolerance fabrication brings additional sets of concern to an AutoCAD modeler. I don't know what that error code means. Try something, though; move the blue coil up just a bit then subtract. thanks for your reply but unfortunately that does not help. Hello Seant and all the others, if we see Arunvigneshram again and if he could give us the dimensions of the ribbon section, the total length of a rotation of 180 degrees + the dimensions of the nothes we could verify our various solids. If it's just an image our solids are very good mainly because I wouldn't have thougt it could be possible to modelize this twisted ribbon without facets, thanks again Arunvigneshram !!! 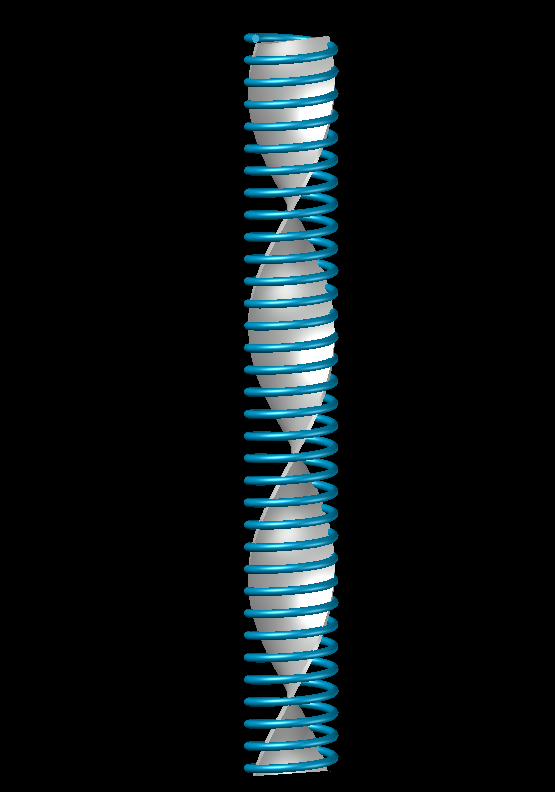 After a load of errors ....... if i use a bigger diameter on the helix, errors keep popping up. But for now i am glad with the result.